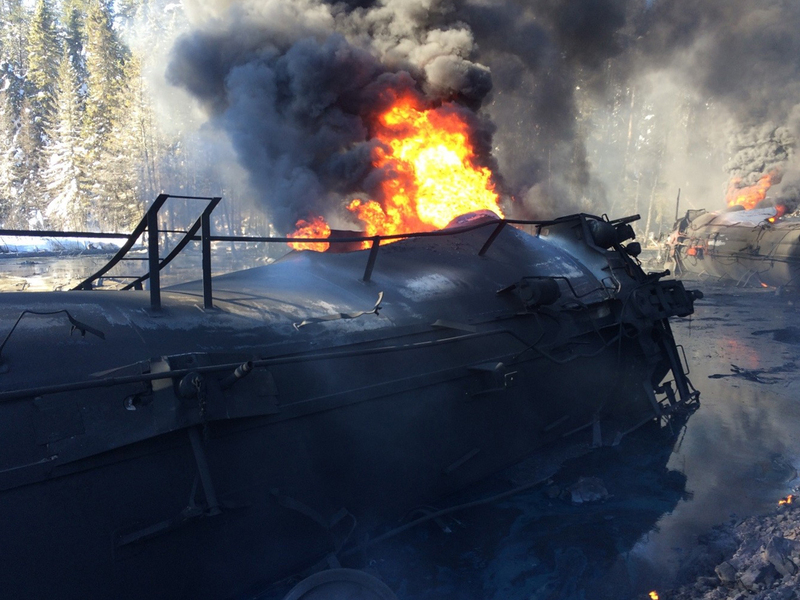 NRC’s Special Operations Team responded to a large train and fire near Gogama, Ontario in March of 2015. Several charter planes were used to mobilize our initial response team and equipment to this remote area. Once our crews arrived on site, they worked with the rail client to assist in developing the appropriate incident action plans and receive approval from the Incident Commander (IC) for the implementation of that plan. This accident occurred in a very remote location and involved 24 tank cars of crude that were derailed, 16 were holed and on fire. 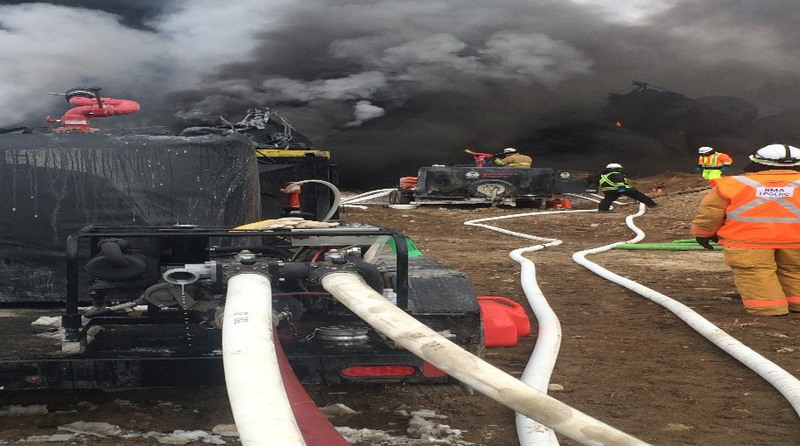 The crews worked around the clock for more than 4 days to completely extinguish all of the fires and get the scene under control. 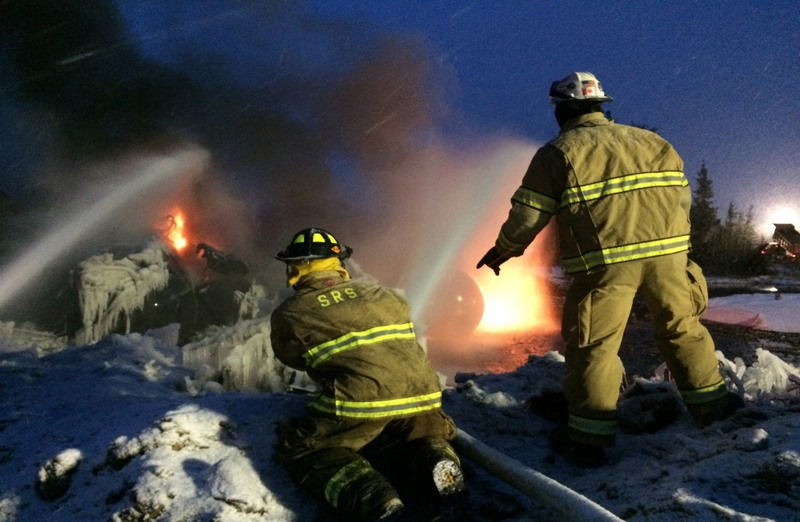 One of the difficulties that our crews were forced to overcome was the extreme cold and winter blizzards. The weather conditions, coupled with the remote location, created challenges with each aspect of the response and the firefighting operation. Temperatures ranged from -50 Fahrenheit to a high of -27 Fahrenheit. Getting fire equipment to work effectively in this environment can be complicated and problematic. Our crews drilled through an ice cap in an adjacent spring fed pond to gain access to fire suppression water and were forced to circulate water for more than 3 days in order to have cooling and fire water for the operations. This response reflects the ability of our Special Operations Group to mobilize to any location in North America within a moment’s notice. Crews were mobilized from Fort Worth, Texas and Seattle, Washington demonstrating our 1-NRC approach to response. Our team’s ability to quickly and efficiently integrate and to act as one cohesive team is of great value to our clients. The recognition of this value is exemplified in our clients calling for our team all across the world.